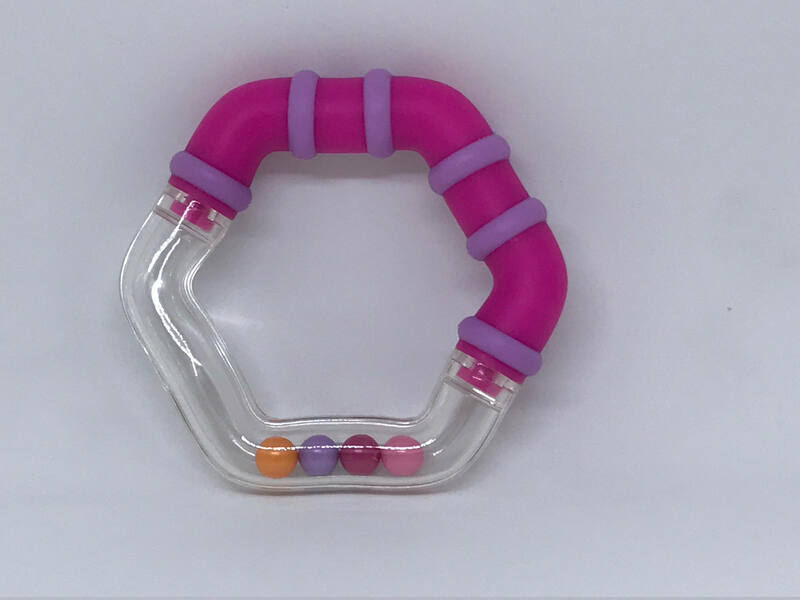 USE: This rattle ring teether may be added to toys or used along. HOW TO USE: Add to a baby toy by threading ribbon or cording loop through the slot and sewing loop into toy seam for a beautiful, handmade toy. Alternately, simply hook onto a stroller or activity gym with a baby link. CLEANING: Hand wash this item by using a clean wiping cloth. Do not submerge this item under water as it may break the rattle seal. 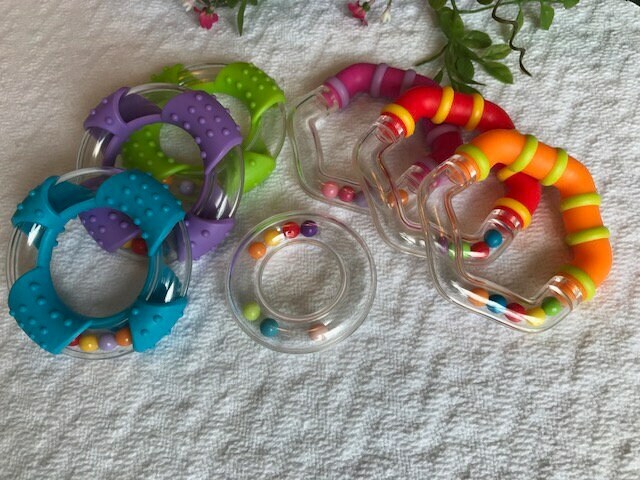 SAFETY: These silicone teether rattle rings meet FDA and EN71 safety standards and are BPA approved. 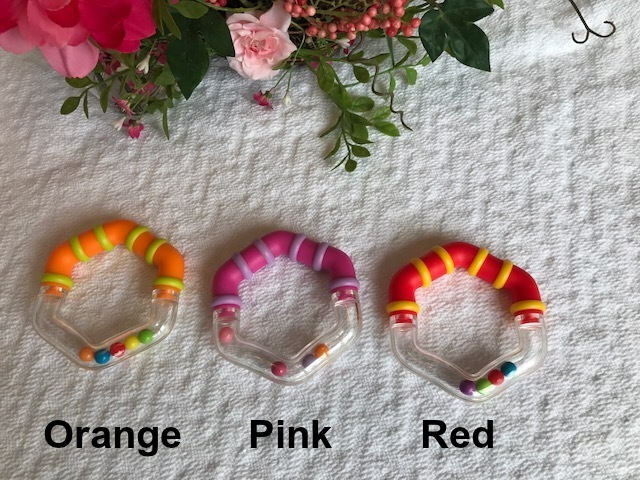 QUANTITY: Each teething rattle ring is priced individually. 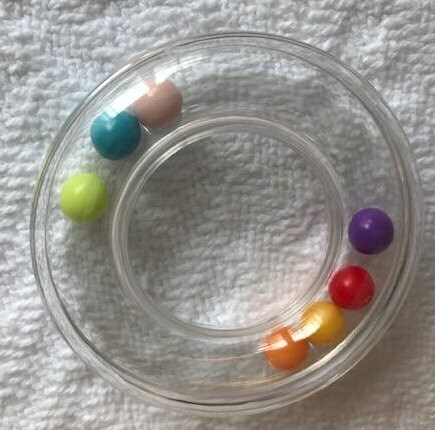 COLORS: Select from seven choices: CLEAR small rattle rings, HEXAGON shaped large teething rattles in red, orange, or pink, or ROUND shaped large teething rattles in blue, green, or purple. 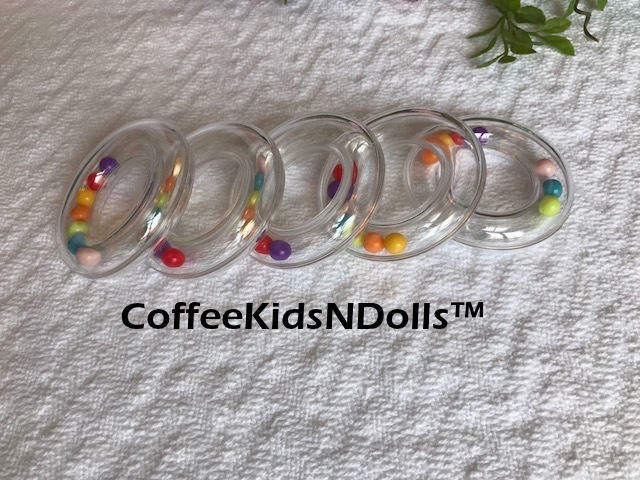 The clear rings feature 6 multi-color beads inside. 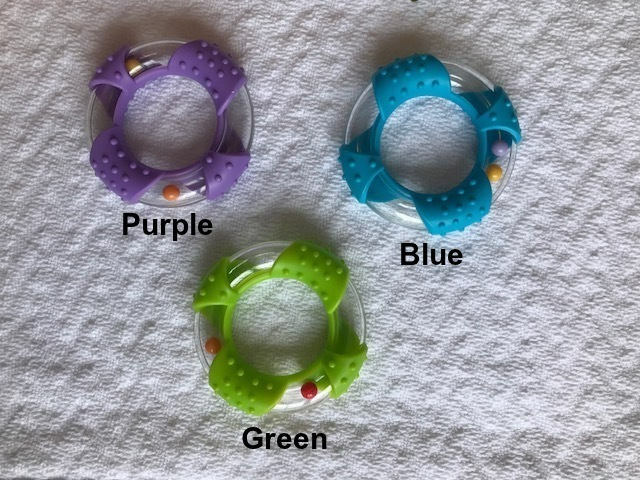 The hexagon shaped teething rattles have 6 sides -- three sides are clear with tiny rattle beads inside and the other three sides offer a softer silcone sleeve. 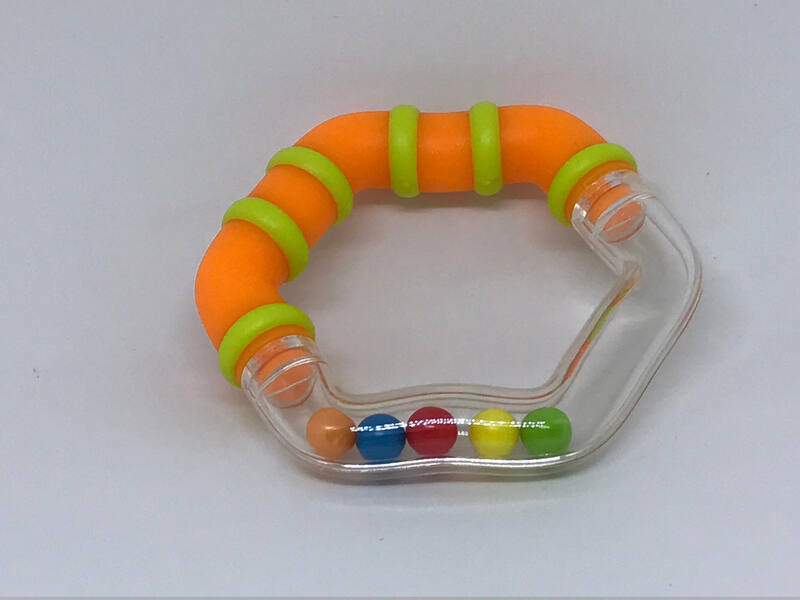 The round shaped teething rattles have a wrap that partially covers the ring as it goes around. This wrap is a harder, bumpy sleeve as compared to the hexagon rattle.